Tweets are about personal things and even though brands are trying to join the conversation they are mostly ignored. Twitter has seen rapid growth. More and more consumers are tweeting. And brands are trying to make their presence known and create conversations about themselves on Twitter. But it’s been largely unsuccessful. A study conducted by digital agency 360i and reported by Michael Learmouth in Ad Age, indicates there is very little brand discussion happening on Twitter. 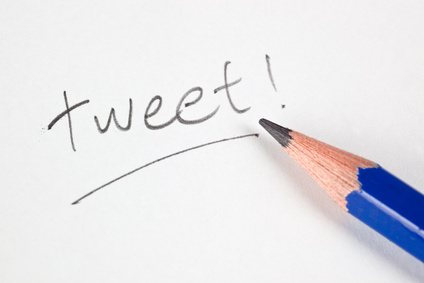 Ninety percent of tweets come from real people and only 12% of those conversations mention a brand, according to study. The other 10% of conversations are by businesses but they are largely one-way conversations. In fact, only 1% of consumer conversations about brands are part of a conversation with that brand. Brands are normally mentioned on Twitter as parts of normal daily conversations and not because of anything the brand is doing on Twitter. Ninety-four percent of real people’s tweets are personal in nature and 85% are original, and not re-tweets. The good news is that only 7% of tweets mentioning brands were negative about the brand. Even though Twitter has become more and more popular, and marketers are trying to join the conversations there, the medium is still largely personal. Perhaps, it’s still too early for Twitter to be very effective for marketers. Or perhaps marketers have yet to discover effective ways to engage Tweeters in ongoing conversations. There are other social networking sites, like Facebook, that have proven to be somewhat effective as a marketing tool. But it doesn’t seem as if Twitter is there yet. Twitter can be useful as a means of sending press releases and communicating to a specific group of followers with common narrow interests. But as a mass medium it has yet proven to be marketing-friendly. That is not good news because there is a growing number of tweeters but they are largely unengaged or not even concerned with businesses and brands. So maybe most of our efforts to use social media should be concentrated in other social media options? Certainly we can try Twitter but maybe we shouldn’t concentrate a lot of effort there until effective methods can be identified.